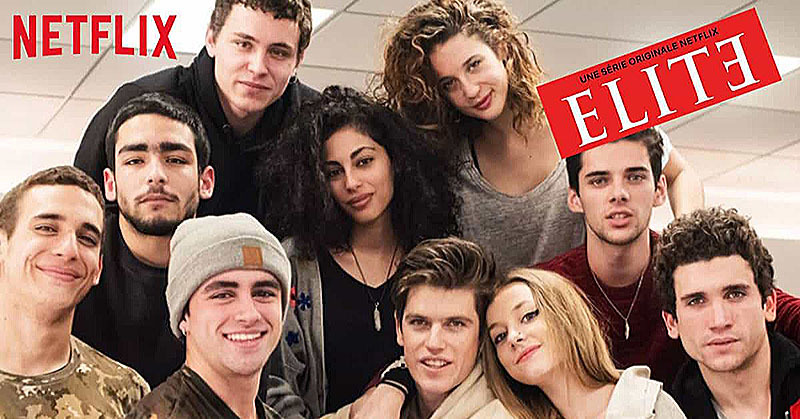 I recently finished watching this show called Elite on Netflix; a mix of high school drama, teen slasher, love triangle and a murder mystery; all mixed together in 10 episodes of fast paced joyride. The show was in Spanish which I don’t understand a word of and had to watch it while reading the subtitles. But I must admit that I was very entertained and quite impressed by the story and performances by all the actors involved in the show. While it won’t really keep you at the edge of your seat guessing, you will still be deeply engrosses in the story, guessing what is going to happen next. The story revolves around three students from middle class families who win a scholarship and get a chance to study at cities’ most elite school; where kids of the richest come to study. They were not of course welcomed in well; were bullied and looked down by other students. How they fit in and what happens next is how the story evolves. The center point of the story is a murder and episode after episode the story unfolds leading to the night of the murder. I really love the murder mysteries and whodunit kind of movies. Even in the novels, my preference was always to read the ones about a murder investigation. When it comes to thrillers like this, I have found Spanish movies and shows to be among the best; and Elite does tend to prove my theory here. It is a great show with great performances from all its actors. It is not perfect but it is so interesting from the beginning to an end. The setting is just right and story is well written and well-paced. It does get a little slow for a few episodes, but then picks up very nicely. The secret is perfectly kept till the last episode. The story is easy to understand but at the same time makes it hard to guess who the killer is. My only complaint with it was that the characters were too mature to be just school going kids. I mean the kind of life they were living, maturity level, problems they were getting into, overly sexually active; it would have seemed more believable and realistic if they had filmed it in a college and not school. Except for the above, it is a great show that will entertain and leave you wishing for more episodes. It isn’t one of the best from Netflix; and won’t win any awards as such but is definitely worth a view. I will definitely recommend it and you should give it a try. If you have however seen the show already then please feel free to drop a note on how you liked it. Do remember though that it is a Netflix Original so you can actually only watch it on Netflix site.